We first covered the Pacemasters Paddock Chrono back in February. The F1 Inspired watch is now ready for launch tomorrow, 22nd May 2018. Find out how to get your hands on one. The VK67 Mecaquartz-powered racing chronograph really looks the part: we love how the black and yellow look together. What we liked about the design process was the way that the company asked its fans for feedback via their website every step of the way. The watch will come as standard with a standard black Alcantara strap (shown in the preview images) and an extra strap will be offered with 50% discount ($75 VS $150 after pre-order). Backers can also add $75 for an extra Alcantara strap to match with a racing team livery. 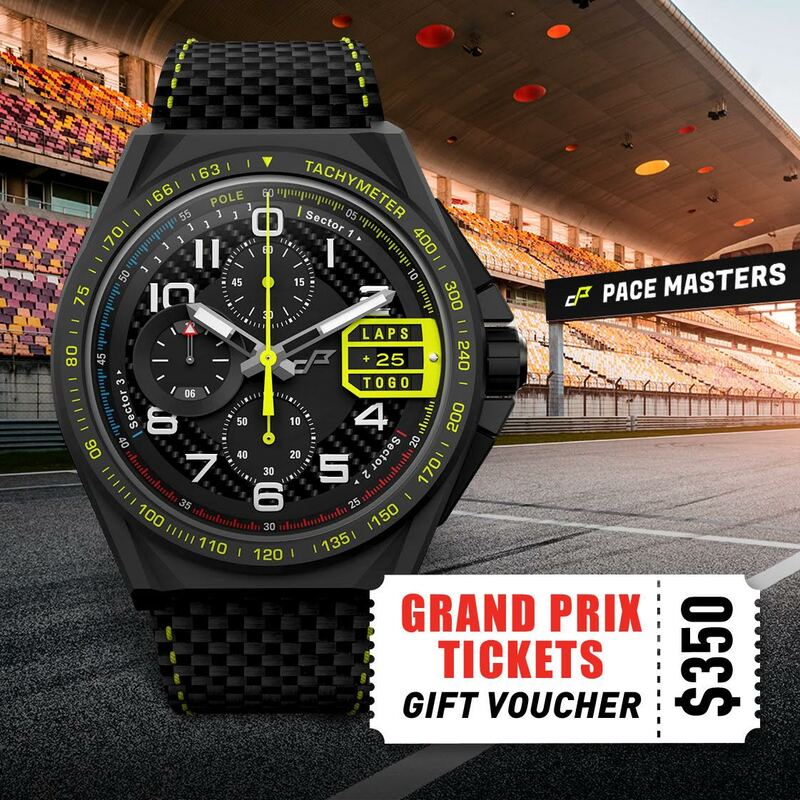 The company is also running a Giveaway of Formula 1 tickets – that is a gift voucher with $350/Eur300 value that can be used to purchase F1 tickets to ANY Grand Prix in next 13 months. The winner will be announced on June 21st. The pre-order period for the Pacemasters Paddock Chrono starts at 1500 London time on May 22nd (that is about 10am for US backers) and will continue until June 22nd, after which the price goes up to the RRP.